A Zimbabwean woman called Memory is in prison in Harare awaiting execution for the murder of a man who, she believes, bought her from her parents when she was nine years old. Her death is delayed by the lack of hangmen: ‘In addition to all the other shortages – no doctors, no nurses, no teachers, no books, no democracy, no sense – we are enduring a chronic shortage of people willing to tie nooses, slip them around the necks of their fellow men, string them up and drop them to their deaths.’ Memory makes use of her borrowed time to fill notebooks with her version of how the man she is falsely accused of killing really came to die. She plans to pass the notebooks to an American journalist who may turn the case into an international cause célèbre and so bring about a reprieve. So Memory is writing for her life. But the style of the book does not reflect this. It doesn’t read like the desperate, terrified outpourings of a woman trying to save her neck – it reads like a carefully-crafted novel. Beginning with a quotation from Nabokov, it is divided into Parts and Chapters, some with finely-wrought cliffhanger endings. Information is released at a pace that suggests more of a pre-planned narrative structure than a cry for help. There are reflections on language (English and Shona), on the nature of narrative, on the heritage of colonialism, on the attractions of western girls’ fiction classics (Ballet Shoes, Little Women) for a girl who, born to black parents, who finds herself growing up in a white household in 1960s Rhodesia. She is albino – ‘a black child who was black only on the inside’ – living in a country which at first is struggling against white minority rule, and later has black rulers but a heritage of white colonialism. She describes how her skin colour and condition brought with it physical suffering (enhanced by the tendency of colonial town planners to build cities in such a way that white suburbs could be protected from direct sunlight, while in the townships, ‘the sun is always in the face of the people’). She suffers taunting and exclusion from her own community; seen in some quarters as cursed, she is blamed for the deaths of family members and other misfortunes. 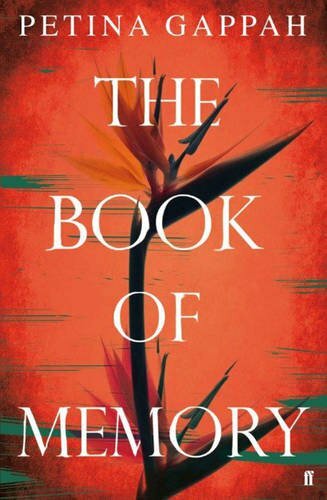 The Book of Memory reminds us there are different ways of telling the same story: the one that was believed by the court is not the one that our narrator remembers, or the one that might engage the interest of world media and so save her life. It won’t spoil the ending if I tell you that she is still alive at the close of the book. Most first-person narrators are. The actual denouement – her realization of the truth about her parents supposedly selling her, and description of why she acted in a way that implicated her in a murder that she did not commit – is presented in haste, as a kind of synopsis, tucked in at the end. This undermines the stated purpose of the story which is to convince the unseen journalist, and, through her, the Zimbabwean authorities, that Memory should not hang. The urgency of the narrator’s predicament is belied by the lack of urgency and focus in the narrative.